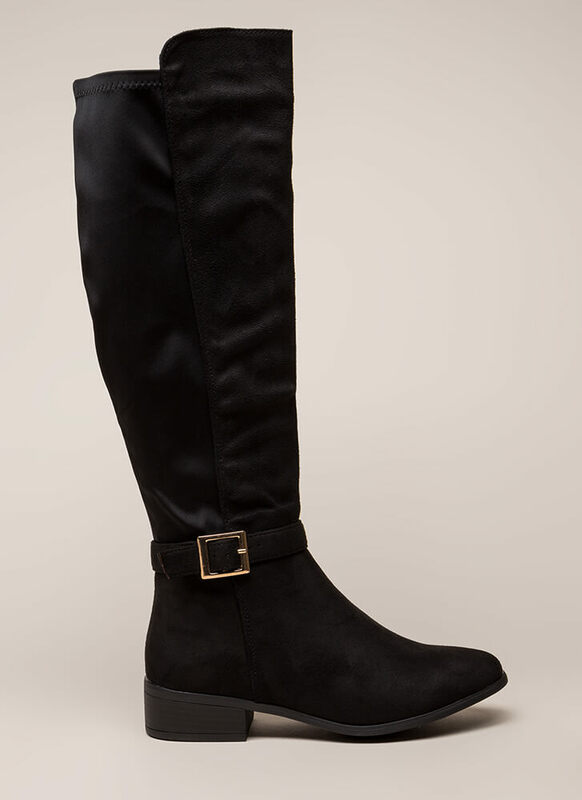 These babies are the ultimate in style and comfort. 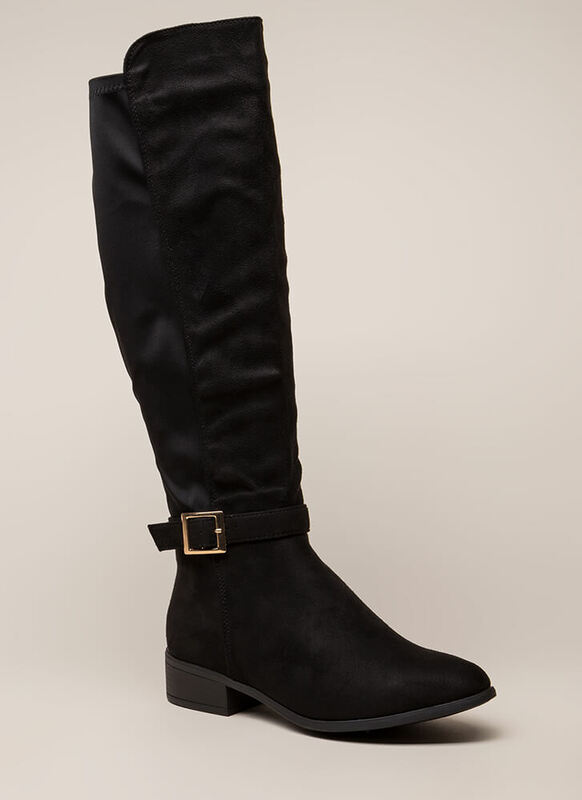 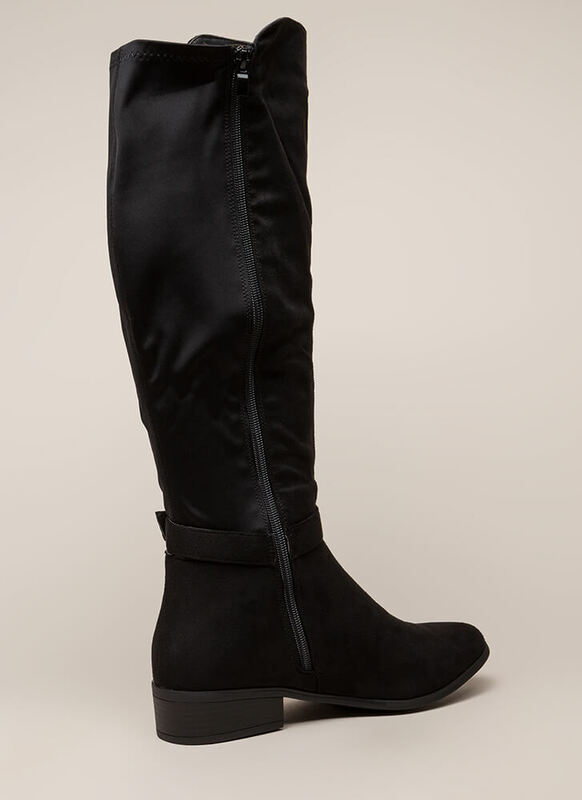 Vegan suede over-the-knee boots feature an ankle strap with an adjustable buckle and a stretchy fabric panel in the back for a slightly adjustable fit. 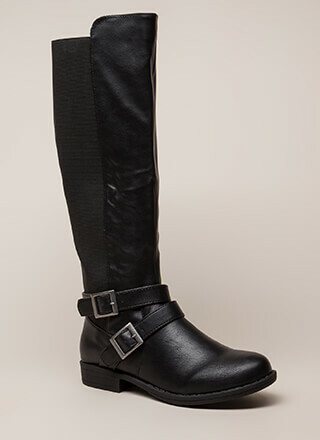 Shoes are finished with a ridged sole and a full-length side zipper for easy on and off.